If you're going to Fasano and you don't really know a lot about it, there's no need to worry — we'll let you in on the basics! To help you get your bearings, Fasano sits 160 miles (257 kilometers) to the east of the significant city of Naples. Traveling is all about meeting new people, so why not make pals with a few of the 23,000 locals who reside in this area of Salento Peninsula? Get the best bargain on your vacation to Fasano by bundling your flight and accommodation bookings. You can also pick from upwards of 400 airline companies and 665,000 properties. Would you like a worry-free visit? Our Customer 1st Guarantee means you'll have the security of 24/7 personal assistance on all services. Have you noticed an even better bargain? We'll match the price and refund the difference^. You've got the option to reschedule any of your getaway plans with no nasty fees from us. Do you know what that means? Less stress for you! And as long as you get in quick, many accommodations don't charge extra fees either^. Life is a grand adventure, so why not get out there and experience it in Fasano? You can start by booking one of the 41 superb properties available through Travelocity. 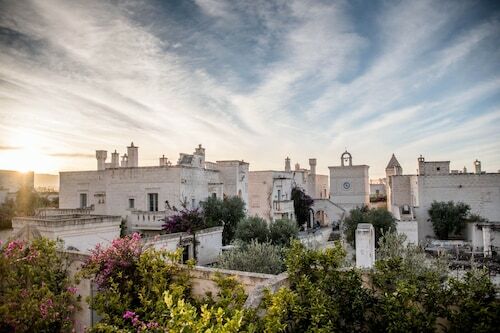 The Borgo Egnazia (Strada Comunale Egnazia) or the Masseria Torre Maizza (Contrada Coccaro Sn) will suit those wanderers yearning for first-class service and high thread-count sheets. If you'd prefer to spend your budget on unforgettable Fasano experiences, make a reservation at the Masseria Bucadue - Maison d'Hôtes (Contrada Masciola) or the Masseria Marzalossa (Contrada Pezze Vicine 65). Where do you fly into for Fasano? Arriving at Karol Wojtyla Airport (BRI)? Once you hop off the plane, central Fasano is approximately 35 miles (56 kilometers) southeast away. Slide into a cab and enjoy the ride — your adventure has just begun! Can I rent a car in Fasano? No matter if you're visiting Fasano alone or with a group of friends, it's always better to have a ride. Travelocity provides a variety of rental options, so pick one and start creating your road trip playlist right away! If you're after a ride from M.A. Grottag Airport, unfortunately, there aren't any car rental outlets right at the terminal. You'll have to find alternate means of transportation to venture into the city, 20 miles (32 kilometers) away. Get ready to walk on the wild side! Take the whole family to Zoo Safari Fasano and watch the kids' faces come alive as they meet some of the natural wonders of the animal world. Want some more options? Dress in your finest khakis and find your lucky putter. If you're eager to get outdoors for a day out on the green, lock in a tee time at Coccaro Golf Club. But that's not all there is. If you have an inquisitive mind, it's worth taking the trip to Museo della Casa alla Fasanese. You never know what you could discover there! Stay in Fasano for its individual personality and feel. That said, you also have famed tourist attractions right around the corner! Travelers from near and far head to the Museo Archeologico Provinciale Francesco Ribezzo. You can access it from Brindisi, 35 miles (56 kilometers) away. Nestled on the beach, this Fasano hotel is within 1 mi (2 km) of San Domenico Golf Club, Egnazia Archeological Museum, and Egnazia. Acquapark Egnazia is 1.5 mi (2.4 km) away. 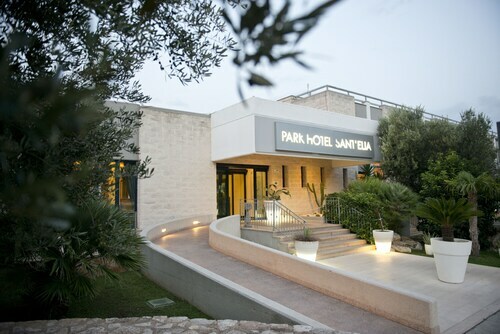 Situated by the sea, this luxury hotel is steps from Dune Costiere Regional Natural Park and Torre Canne Beach. Torre Canne Lighthouse and Rosa Marina Beach are also within 3 mi (5 km). 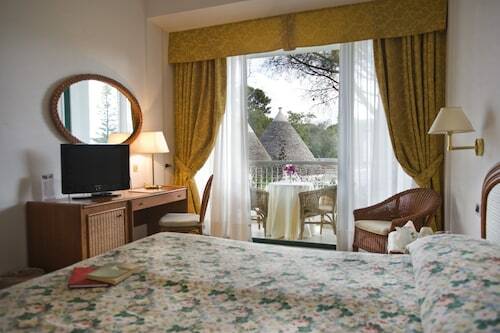 Situated near the beach, this hotel is within 1 mi (2 km) of Museo della Casa alla Fasanese and Zoo Safari Fasano. Morelli Palace and Mother Church of St. George are also within 9 mi (15 km). 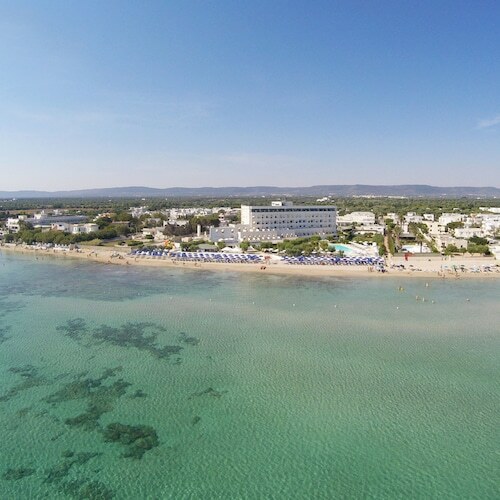 Nestled on the beach, this Fasano hotel is within a 5-minute walk of Torre Canne Beach and Dune Costiere Regional Natural Park. Torre Canne Lighthouse is 1.3 mi (2 km) away. Located in the heart of Fasano, this property is within 3 mi (5 km) of San Domenico Golf Club, Egnazia, and Acquapark Egnazia. Egnazia Archeological Museum is 2.3 mi (3.7 km) away. 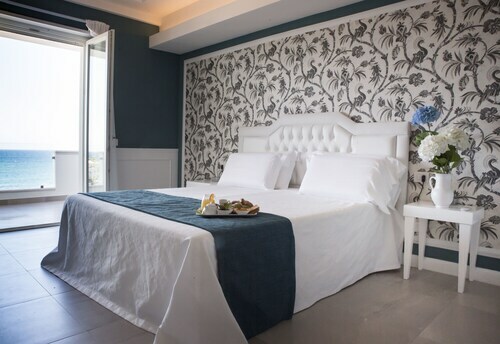 Situated in Fasano, this luxury hotel is within 3 mi (5 km) of San Domenico Golf Club, Egnazia Archeological Museum, and Museo della Casa alla Fasanese. Acquapark Egnazia is 2.8 mi (4.5 km) away. Fasano Station is 23 minutes by foot. This family-friendly Fasano hotel is located near the beach, within 3 mi (5 km) of Zoo Safari Fasano and Museo della Casa alla Fasanese. Morelli Palace and Mother Church of St. George are also within 9 mi (15 km). 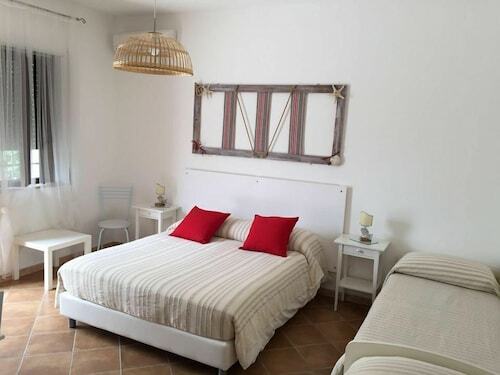 Situated in Fasano, this bed & breakfast is within a 15-minute walk of Torre Canne Beach and Torre Canne Lighthouse. Dune Costiere Regional Natural Park is 1 mi (1.7 km) away.